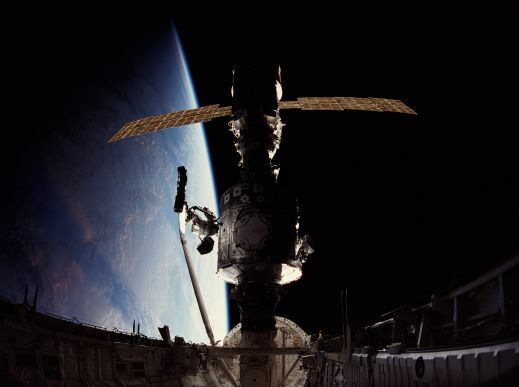 Opis: Move over Mir, here comes the International Space Station. 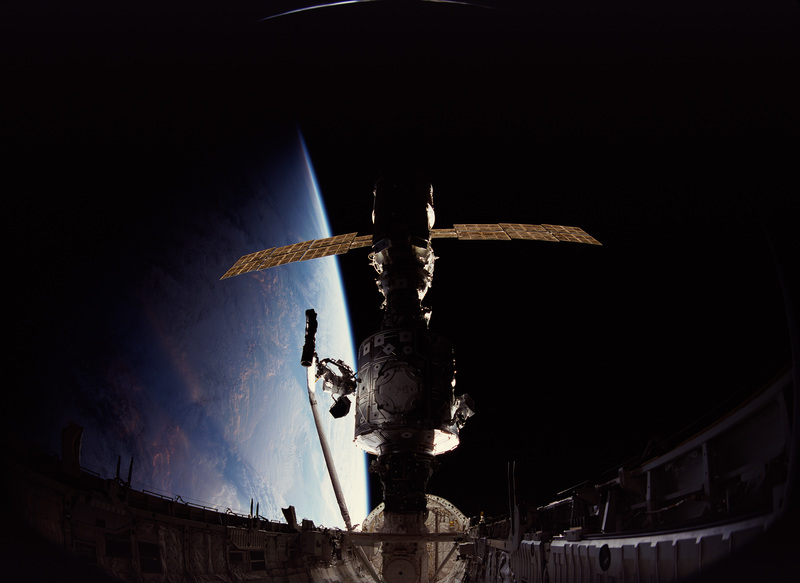 In December 1998, the crew of Space Shuttle Endeavour started construction by joining the U.S.-built Unity node with the Russian-built Zarya module. A close look at the above IMAX(r) photograph will reveal two astronauts working on Unity. Below on Earth, the terminator between night and day is visible. The International Space Station's low 250-mile Earth orbit causes it to experience one complete day/night cycle in about 90 minutes.